Apple has hired Qualcomm Engineering VP Esin Terzioglu as a wireless "System on a Chip" lead, offering additional evidence that the company may plan to expand its internal chip development into broadband processors working as mobile modems. 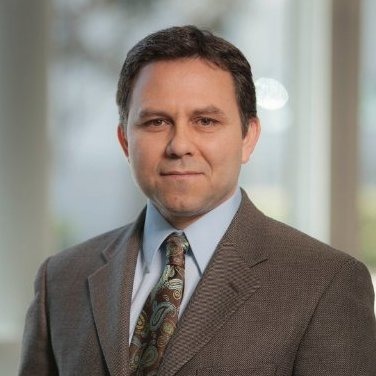 As noted in a tweet by Neil Shah of Counterpoint Research, Terzioglu posted the news to his LinkedIn account, stating, "After an amazing ~8 years at Qualcomm, it is time for me to move on to my next adventure. "It has been my honor and privilege to have worked with so many talented and dedicated individuals at Qualcomm where we accomplished great feats as a team (10nm bring up was a doozy and the team did an amazing job bringing the first product to market!!!). I feel privileged for the opportunity to continue my career at Apple. Stay in touch." Terzioglu's profile notes that he began working at Qualcomm in August 2009, where he lead the company's QCT [Qualcomm CDMA Technologies] Central Engineering organization, defining its technology roadmap. He is has a Ph.D. in Electrical Engineering with a Ph.D. minor in Computer Science, both completed at Stanford University. 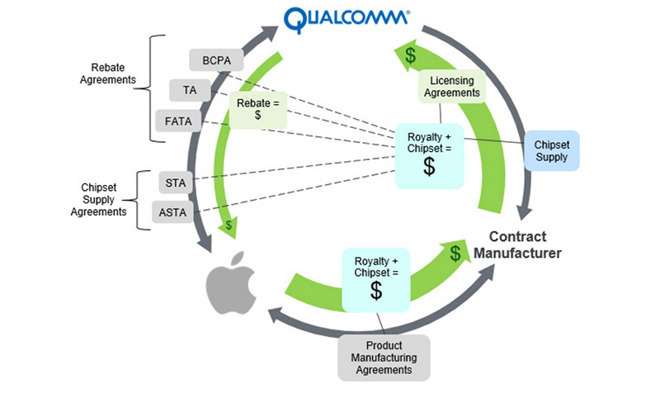 Apple and Qualcomm are involved in a series of legal disputes related to the complex system of royalty rates (depicted below) that calculates how Apple pays for its use of standards essential patents related to wireless networking, specifically in mobile networks that use CDMA and LTE, both standards built upon technologies developed by Qualcomm. Apple is also a major customer of Qualcomm, which has built most of its iPhone and iPad 3G/LTE baseband processor modems used since the Verizon/CMDA iPhone 4 was introduced in early 2011. Prior to that shift, Apple bought GSM-only modems from Infineon. Intel has since acquired Infineon, and the chipmaker recently introduced Baseband Processors that support a wider variety of global networks, licensing the required IP from Qualcomm to do so. Apple began using a mix of Intel and Qualcomm baseband processors last year with the introduction of iPhone 7, with Intel chips specifically tasked for models designed for use with AT&T and T-Mobile, where CDMA support is not necessary. The newest Intel baseband chips could enable Apple to shift entirely to Intel in the future. In 2014, Apple recruited at least 30 mid and senior-level RF engineers from Broadcom and Qualcomm, suggesting an intent to begin working on its own internal baseband chips. Apple has developed a series of custom ARM-based Application Processors since the 2010 A4, but none of these incorporate an integrated baseband, which works as an independent ARM-based computer running its own specialized operating system to manage all network traffic between carriers' mobile networks and Apple's system running iOS. Qualcomm's Snapdragon and Samsung's Exynos both have integrated SoCs that pair an Application Processor and Baseband Processor on the same chip package.